The Journal of Statistical Software, vol. 59, 2014. 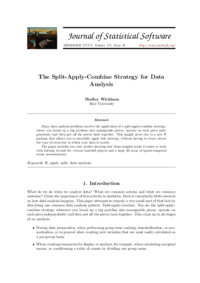 The split-apply-combine strategy for data analysis. Journal of Statistical Software, vol. 40, no. 1, pp. 1––29, 2011. 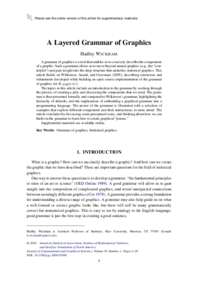 A layered grammar of graphics. 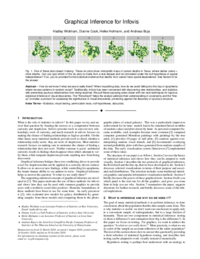 Journal of Computational and Graphical Statistics, vol. 19, no. 1, pp. 3–28, 2010. Hadley Wickham, Dianne Cook, Heike Hofmann, Andreas Buja. IEEE Transactions on Visualization and Computer Graphics (Proc. InfoVis '10), vol. 16, no. 6, pp. 973–979, 2010.